The landmarks of Paris seem even more beautiful – if that were possible – from the Siene and the best time to cruise the river is after sunset when the city is all aglow and the Eiffel tower sets off its sparkling spectacle. The romance is spoiled somewhat by the rather grating running commentary in the background, but it is charming nevertheless. Here is a (rather less than perfect) sampling of what we saw on the cruise, in response to Ailsa’s weekly travel theme – Night. La Tour Eiffel – lit blue to mark its six month presidency of the EU in 2008! Each star in the giant circle, stands for each member of the EU. Eighty giant projectors on the ground and 100 more on the tower were used to achieve the blue effect! Thank you for cruising along with me. Your night cruise does seem wonderful I Love the light glowing on the buildings you photographed. Excellent entry for theme. Thank you Francine. These were about the best night shots I could muster up for the challenge 🙂 Yours were spectacular. Love these photos, especially your blue Eiffel Tower! Madhu, I know I often say this, but these are stunning. What a beautiful record of what is always a magical ride! The breadth of your subject matter here on The Urge To Wander sometimes takes my breath away! Looks like a dream. Eiffel Tower looks gorgeous! Thank you Mehmudah. Just realised I wasn’t receiving notifications for your posts! 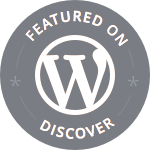 Have noticed this with a few other blogs as well Weird! Thanks Gilly. Planning to return with my daughter next year. Hope it works out. Oh, this is great! 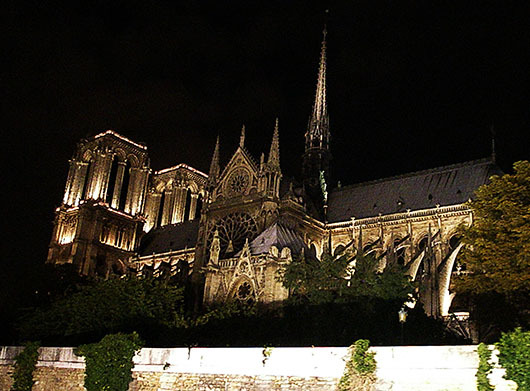 What a lovely gallery of Paris night shots! Great shots. Must have been a great cruise. Hope you wrapped up well! Thanks Ledrakenoir! Le Tour in blue was truly spectacular! I’m dying right now, wishing I was there. Can’t remember if I told you but I spent a semester abroad in Paris at the ripe age of 21. LOVE Paris. My favorite city in the world. 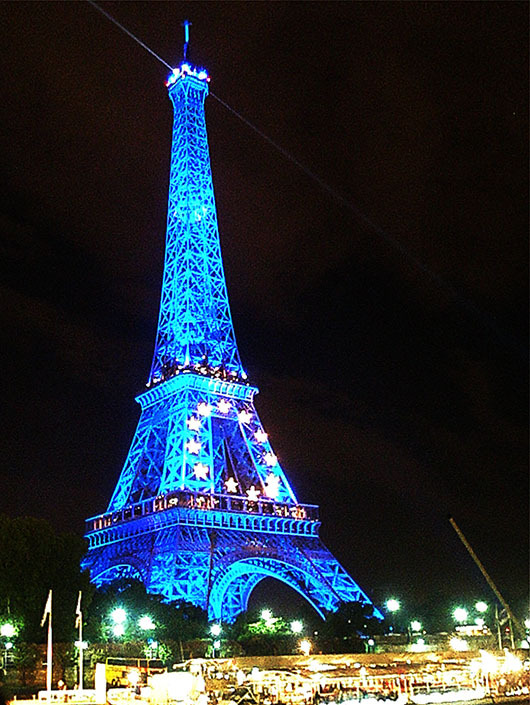 I love your photos and the one of the Tour Eiffel light up in bleu blows me away…..ahhhh…. My favourite city too Nicole 🙂 Hope my plans to return next summer pan out. 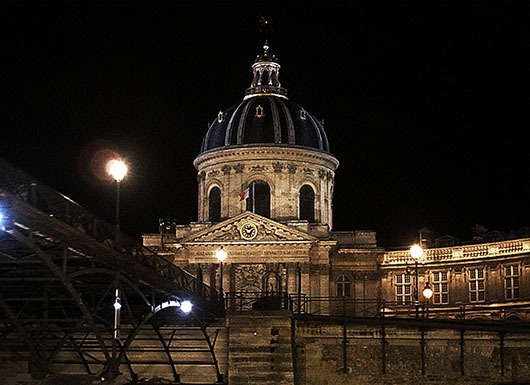 Beautiful photos of the City of Lights! J’adore Paris! Me too 🙂 Thank you for the comment. Oh, how beautiful, Madhu! I loved going with you! My daughter and I did the cruise in ’05, but it was just at sunset (and I kept getting pony tails in my photos!). I love the lights you have in yours. And a blue Eiffel tower! Amazing! Thanks for sharing! 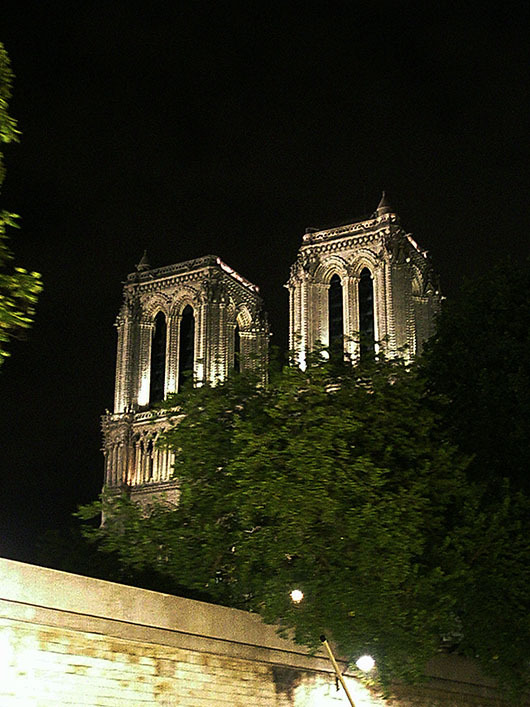 Beautiful, Madhu, evening on the Seine – Notre Dame by night – it must have been heavenly. 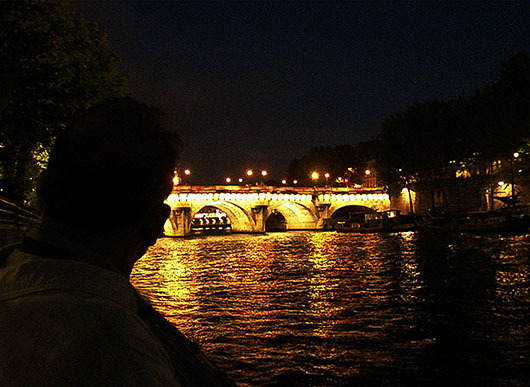 Ooh, Madhu, you were being modest when you said you would have a hard time with this challenge – these shots are wonderful, I have never done a night cruise along the Seine but after seeing your post, I am officially adding it to my bucket list. That Eiffel Tower in blue shot is stunning. Stunning! Thank you, the night tour is very highly recommended. Well I’m so glad you remembered you had them, so I could get to see them. I shall try to do that night tour next time I’m in the area! Oh Madhu,You are amazing photographer. Your photos took my breath away.It was like entering into a magical dream of Paris. Be blessed and have a great Sunday! My heart rested by this amazing photos.Enjoy You too. Nighttime in Paris sounds so romantic! Beautiful photos Madhu. Magnifique photos, Madhu! 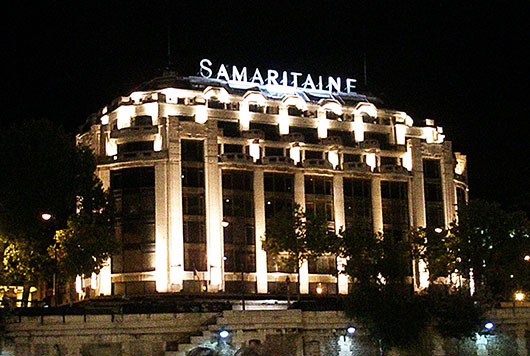 How I love ‘La Ville-Lumière’ — night or day! Me too Tricia. Thank you so much. Ah, what a beautiful cruise! Thank you Marina. It was truly lovely. Looks like a fabulous trip, Madhu! Great post. Madhu these are amazing images. On a side note…I read one bloggers account of how the people who light the Eiffel Tower tried to charge him for taking images and using them, it is a weird world at times. That is really weird! But Paris is known for its scams, almost as much as its romance 🙂 Thanks Jo. La Catedrale looks so luminous and magnificent, Madhu. 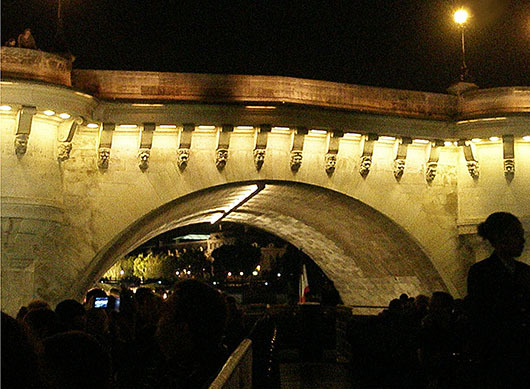 Who wouldn’t want to ride a bateau mouche by night? Beautiful night shots! It looks romantic from the photos. It is Fergiemoto, It is! Thanks for the comment. Beautiful pictures Madhu. I did the cruise a couple of years ago – my pictures are of a late afternoon cruise. Thanks Kavi. The main highlight at night is to catch the twinkling light show of the Tour Eiffel, that takes place every hour for 15 min. Very cool Eiffel Tower shot! WOW .. Thank you Madhu.. this is really spectacular 🙂 I only took a day tour on Seine :D. The Eiffel Tower looks so European :D. What a great post!!!!!! Thanks Paula. My poor point & shoot wasn’t quite upto night scenes and certainly not from a moving boat 🙂 Doubt I will go on a cruise at all this time.